Arts and Cultural Alliance of Sarasota County » Viva Innovation! Viva Arts! On November 13, 2013, the Arts and Cultural Alliance of Sarasota County hosted its 13th Annual Principals’ Luncheon in the Grand Foyer at Van Wezel Performing Arts Hall. This highly-anticipated event played host to school district members, principals, and arts community advocates. This year’s event featured an elementary art exhibit and a fabulous jazz combo from Booker High School under the direction of Ryan Gantt, band director. 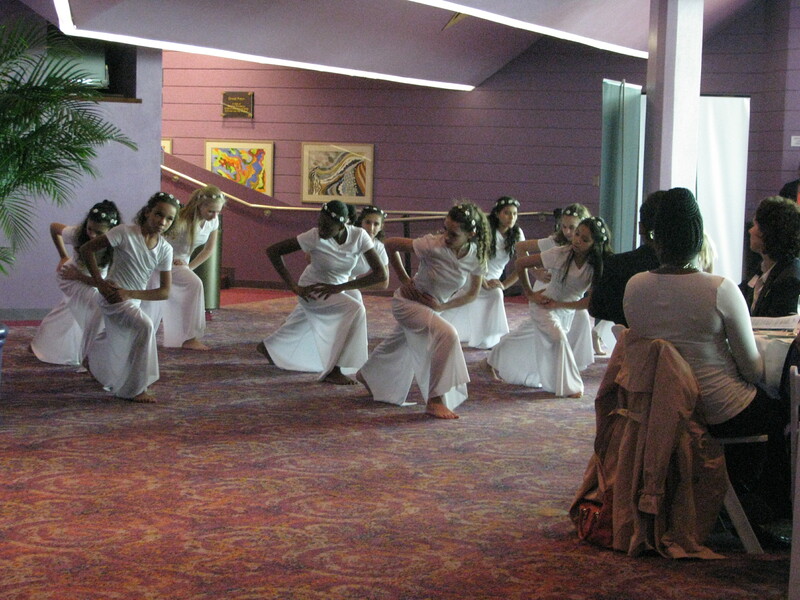 Also featured was a dance ensemble from Booker Middle School (Pedro Batista, dance educator). Lovely dancers garbed in Grecian robes and posed as statues (with periodic changes in pose) greeted the 150 guests as they arrived. The theme was Viva Innovation! Viva Arts! with featured speaker David Rovine, Vice President of the Baltimore Orioles/Sarasota. The newly renovated stadium has become a venue for arts events in addition to the traditional spring training games of the Baltimore Orioles. Any Given Child started out with a launch event on October 26 that focused on arts education for all students in Sarasota County. The Sarasota Orchestra will perform in the outfield in the spring. Mr. Rovine emphasized in his keynote speech that his theatre and performance background has helped him to manage and innovate in the fields of horse racing, theatre management, and now… ball park management. His creativity and enthusiasm were energizing! Angela Hartvigsen, Fine Arts Program Specialist for Sarasota County Schools, reported on the State of Arts Education in the Schools, including numbers of arts educators, programs and courses. Principals received rack cards referring them to documents and articles that might encourage them to innovate and create more arts education at their schools. 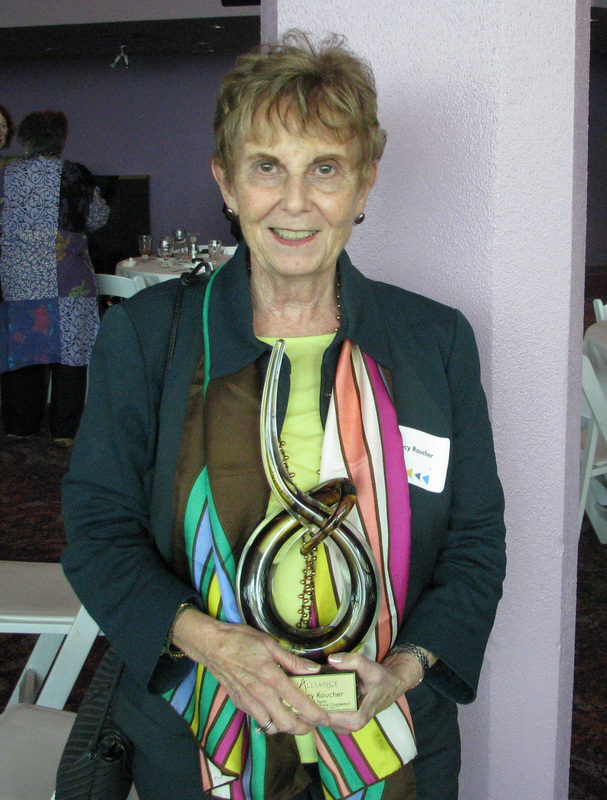 A special award was presented to Nancy Roucher, Chairperson of the Arts Education Task Force, who has served as chair of the group since its inception 25 years ago. Bravo, Nancy! We are very grateful to our luncheon sponsors, Gerri Aaron and The Community Foundation of Sarasota County, as well as to our volunteers that made this event possible, and the members of the Arts Education Task Force, a standing committee of the Arts and Cultural Alliance.